I ate well in New York! Admittedly, in this case, “well” doesn’t translate to healthy, but I tried to clean up my act the last couple days there. After feeling a little guilty about my corned beef and pastrami SooFoo scramble from the famous Carnegie Deli (I added the Soofoo), it was time to put a stop to eating like a tourist. For a lighter dinner, I stopped by Cafe Metro, which notably was featured on this season’s premier of The Celebrity Apprentice. 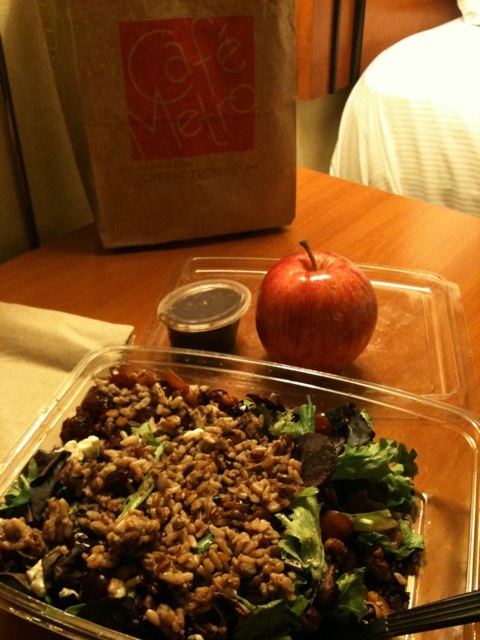 I opted for the cranberry and walnut salad that I knew would be excellent mixed with SooFoo. Finally, back to healthy and probably just in time. Traveling can be exhausting. I was starting to feel sluggish from long days, poor diet, and being out of my regular exercise routine. As a side note, I almost always skip the dressing on salads. A salad without may sound boring and bland, but if there’s enough other stuff besides lettuce, you won’t miss the dressing. Even “low-fat” dressings generally have a high calorie count, and many are filled with sugar. Try going without for a week and I bet you won’t go back. I had the priviledge of spending the next day with SooFoo’s East Coast Field Manager, Preston. We spent the morning doing store checks and meeting with some of our very best retail customers like Zabar’s! For lunch, Preston took me to a popular spot called ABC Kitchen. I was running low on my supply of cooked SooFoo, so Preston graciously brought me enough to get through the rest of my trip. 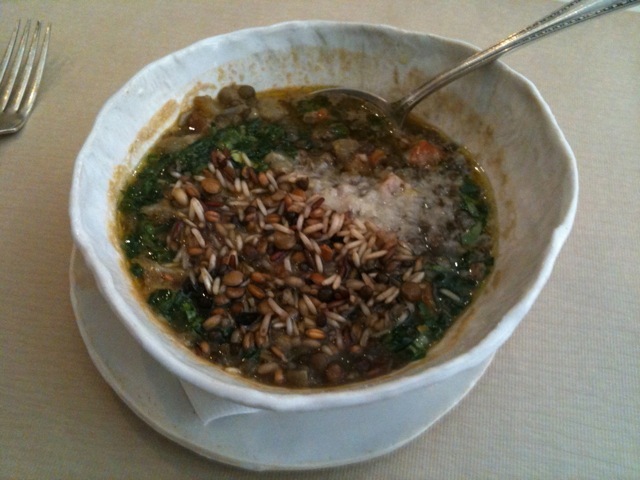 I figured what would go better with it than some organic lentil soup. Wow, now I know why the place had a line out the door after 1pm on a Monday. Excellent! Overall, it was a productive and enjoyable trip. 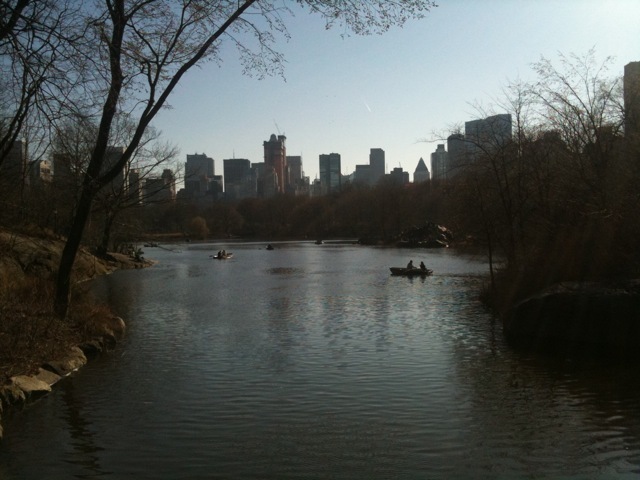 I also completely lucked out weather wise and took advantage with a stroll through Central Park on my last afternoon. About 65 degrees, with bright blue skies!